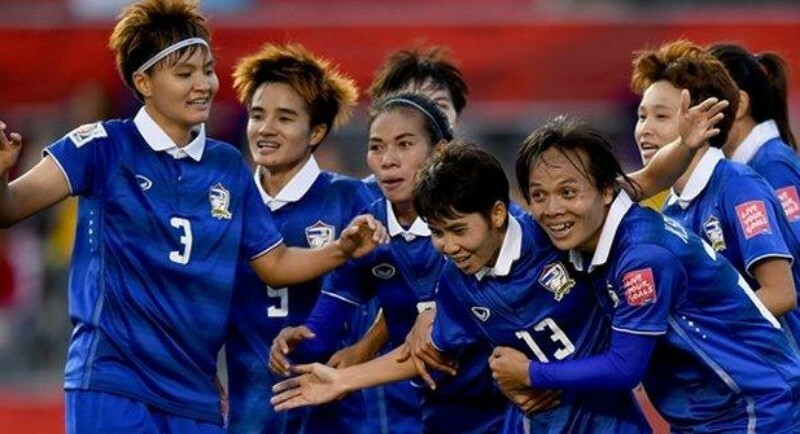 BANGKOK: Thailand defeated the Philippines 3-0 in Amman, Jordan, yesterday (April 11) to advance to the Women's World Cup 2019 in France. It is the second time in a row the Chaba Kaew (Glass Hibiscus) have qualified for the World Cup finals. They competed in the competition in Canada in 2015. The Asian Football Confederation reported that the Thai women went ahead of the Philippines after 28 minutes, with Kanjana Sung-Ngoen slotting a penalty shot into the bottom left corner of the goal. Kanjana scored the second goal as she deflected a pass from Suchawadee Nildhamrong into the net. Silawan Intamee put the match out of reach nine minutes later when she boomed a free kick into the top left corner of the net from 20 metres. Thailand finish the qualifying tournament in second place in Group A behind China. Group B sends Australia and Japan through to France. The Philippines also qualified as the fifth Asian team for World Cup 2019. Thailand play Group B winner Australia on Tuesday as one of a series of matches to decide ranking for the World Cup draw.